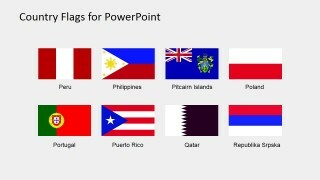 The Country Flags Clipart for PowerPoint (M to R) contains flat vector shapes of flags. 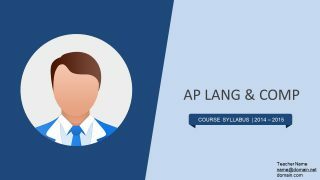 It contains the clipart where the country name starts with alphabets M, N, O, P, Q, and R. The users can present the cultural and geographical topics along with their maps. 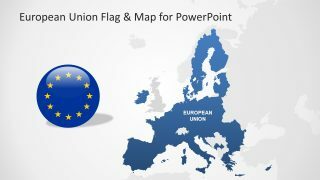 The SlideModel also offers outstanding world map and some editable maps for countries. It is an ideal template, offering icons to demonstrate the internationalization plans of companies. This way, the company can graphically present their availability in the international market. For instance, if the company wants to avail opportunities in South America, it can use the suitable country flags. It can also enable the business to market its products and services in different countries. 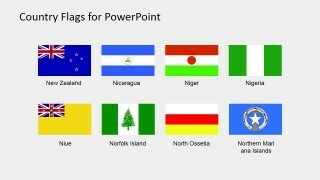 Next, present the stats in PowerPoint using the country flags clip art. 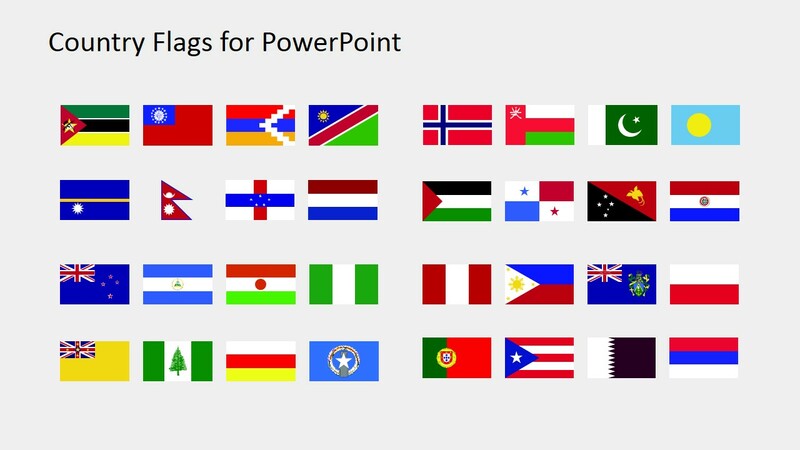 The Country Flags Clipart for PowerPoint (M to R) is how a presenter can communicate beyond language. 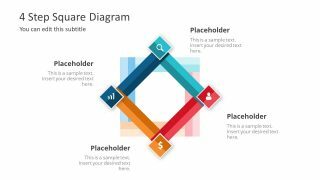 The template, therefore, assists the users to create learning presentation. 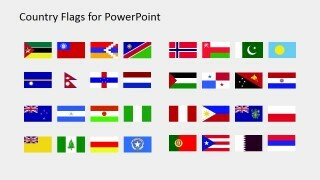 In schools, this template of country flags clip art can help students to identify the countries using their national flags. Similarly, in tourism, the flags can help the tourists to identify and decide their destination. On the other hand, the tourism company can make an appealing presentation to attract more customer while adding the country flag as well. It also symbolizes the idea of patriotism in presentations. Hence, the corporates, governments and non-profit organizations also use flags in global reach programs. The flags include: Mozambique, Myanmar Burma, Nagomo Karabakh Republic, Namibia, Nauru, Nepal, Netherlands Antilles, Netherlands, New Zealand, Nicaragua, Niger, Nigeria, Niue, Norfolk Island, North Ossetia, Northern Mari ana Islands, Norway, Oman, Pakistan, Palau, Palestine, Panama, Papua New Guinea, Paraguay, Peru, Philippines, Pitcaim Islands, Poland, Portugal, Puerto Rico, Qatar, Republika Srpska. 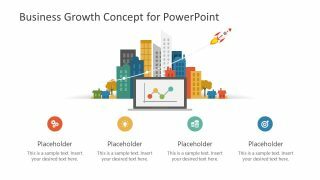 The editable Country Flags PowerPoint template of clipart enables users to customize the shapes. They can rescale the images, change the colors if require quickly. 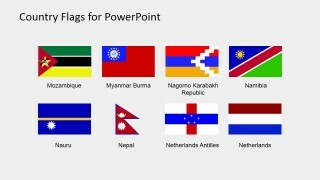 These country flags benefit in sports and competition presentations. Here, the teams are easily identifiable by their national flags. 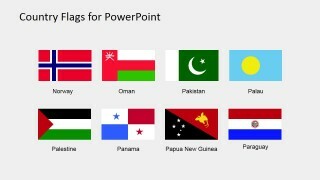 Further, these country flags are multi-purpose clipart icons including the school presentation of students. These icons can be used repeatedly.